We’ve been introduced to a few new card games this last week, as we’ve casually extended our geekery in social situations. Lord S has been collecting a vast array of easily transportable games over the last few years, and brought a couple round on Sunday when he dropped by for a catch-up. 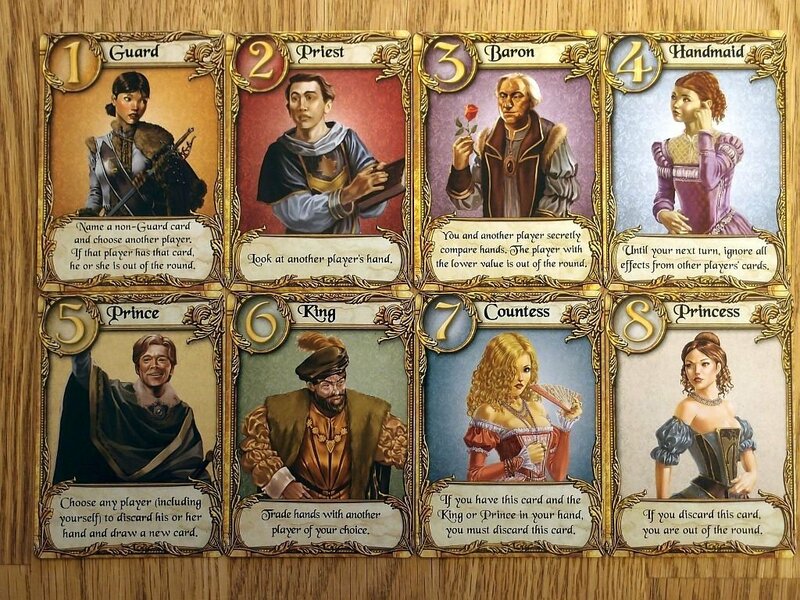 The first of these – Love Letter – he also brought to #Tuesday, where it served as social glue for conversations through the night – it’s a simple game ostensibly suitable for 2-4 players, but at one point we had 6 or 7 players round the table. The action is pretty much take a card, play a card, with the aim being to eliminate or hold on to the Princess card by a process of knocking other players out of contention. It’s a fun system that also proved once more that the former-Lady M has great difficulty in counting cards or reading instructions (first noted while playing Cards Against Humanity). Lord S was heard to opine that it was the first time he had ever had to consider being a games master/referee for a card game. Hilarity ensued. 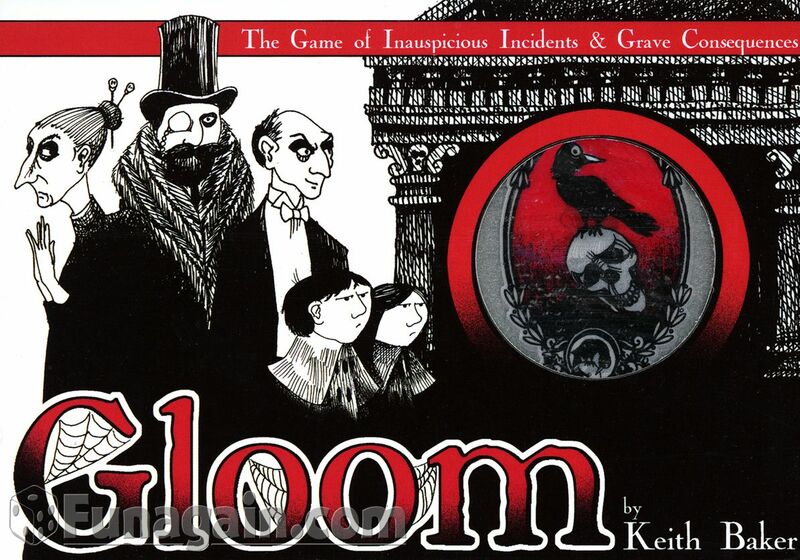 By way of total contrast we also played Gloom for the first time, and I’ve decided to buy a set for myself as soon as pay day arrives (unless someone is kind and generous and gets it for me first). Not only is Gloom a beautiful set of cards with a simple set of mechanics, but it is first and foremost about telling stories. I wonder why that appeals to me? As we’re all horrible, horrible people we took great delight in fashioning the demise of these dreadful characters, and quickly found the stories interweaving as we picked up and played with throwaway locations, situations and jokes from other players. This entry was posted in #Tuesdays, friends, games, gaming, Geekery and tagged #Tuesdays, card games, games, gaming, geekery, gloom, love letter. Bookmark the permalink.